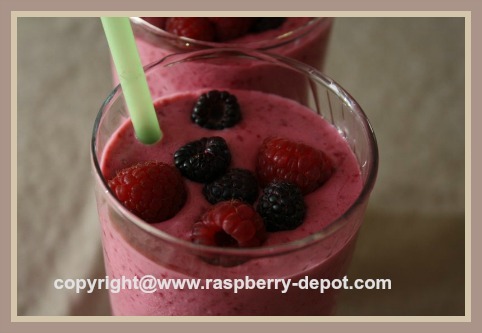 This scrumptiously delicious Raspberry Milkshake Recipe is so very easy to make. It includes a touch of almond extract to make the flavour even more tasty than ever! To keep your Raspberry Milkshake cold, you can chill the glasses (glasses should hold approx. 2 cups each) in the freezer before hand. Make sure the glasses can withstand the freezer! This particular milkshake recipe contains 524mg of calcium! 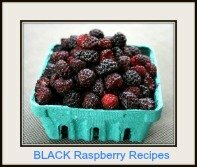 ♥ I made this raspberry shake using BOTH red and black /wild raspberries, and wow, was it EVER scrumptious! Keep a few raspberries for garnish. 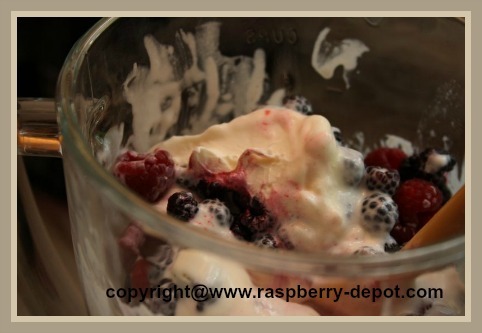 Place the ice cream, yogurt and almond extract in a blender. Pulse until mixed, adding the milk as needed to attain a smooth consistency. 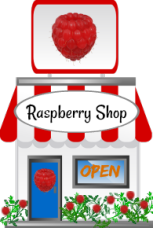 Making a Yummy Raspberry Milkshake! 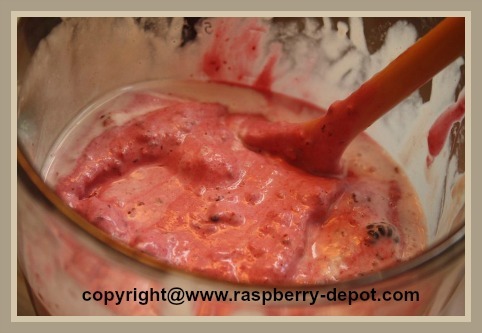 Add the raspberries to the mixture and blend until smooth. Pour milkshake into 2 large size (or 3 medium size) glasses. Garnish with the remaining raspberries. 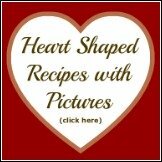 Makes about 5 cups of scrumptious raspberry milkshake! 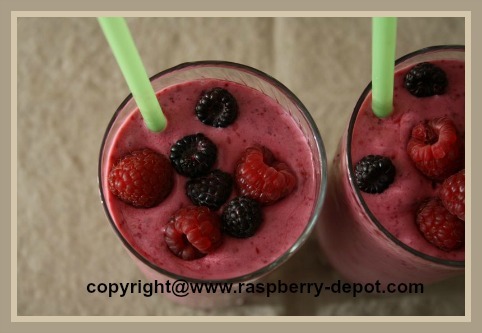 Interested in How to Make the BERRY BEST Smoothies and Shakes at Home? Why pay the price at the Smoothie Shop when you can make your own Smoothie or Shake for a fraction of the cost - and MUCH tastier! Most people know that raspberries, and other berries such as blueberries, strawberries and cranberries are very nutritious. However, did you know that berries are fruits which are very high in antioxidant activity? In fact, berries rank at the top when it comes to the level of antioxidant activity in food! Including berries in your diet on a very regular basis, whether fresh, frozen, canned or dried berries, is a great way to take advantage of the many important vitamins and minerals they provide the body, and the powerhouse of antioxidant activity they include! Looking for a great gift idea for a Birthday or a Christmas gift? A personal blender is a good idea! ... everyone LOVES to make healthy fruit smoothies! 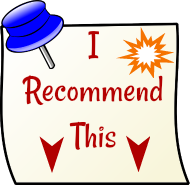 Click on the images below for more detailed product information and be sure to check out the customer product reviews.